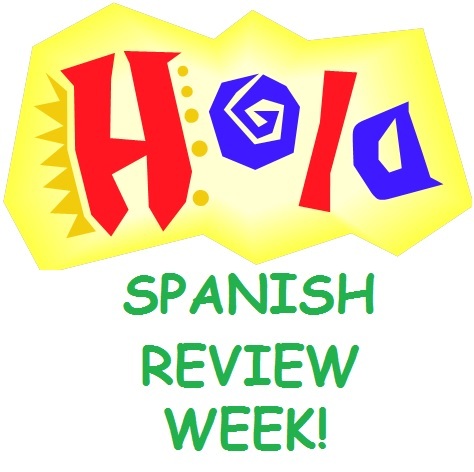 “Spanish Review Week” is next! Whew! That was a lot of work but not nearly as much work as the students did all year long while studying those letters! 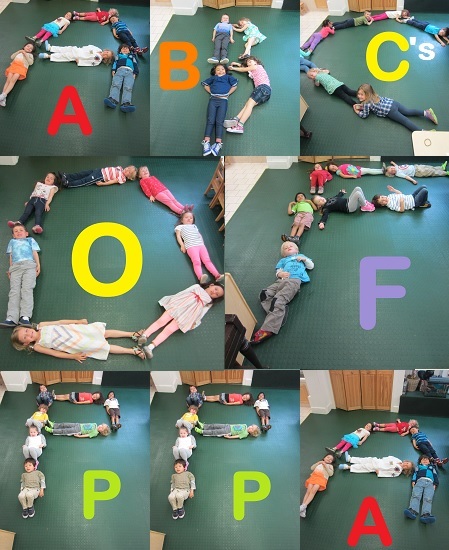 Read on below to see what the students did to commemorate the school year and also the alphabet! After presenting over a wide assortment of alphabet shares, the students learned that they would be working on a super special activity. This activity would be so special, it would require not one morning work session but rather a full week of morning work in order to complete it! The students looked puzzled when the teachers explained that the students would be working together to BECOME the alphabet! The students could hardly contain their excitement; they could not wait to get started! Be sure to scroll to the bottom of this post to view the entire “PPA Alphabet” photo gallery. On Monday and Tuesday afternoon, the students put their alphabet knowledge to the test when they worked together to create a “Food Alphabet” and an “Animal Alphabet”. In order to do so, the students needed to name an animal for EACH letter of the alphabet – even the ones at the end! 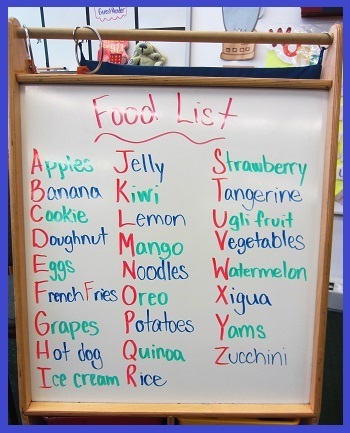 Be sure to check out the Food Alphabet from Monday! The letter shaping continued into Wednesday and Thursday and so did Spanish class. The students completed the last week of the unit – La Transportación. vocabulary and even learned the following song. and a barco is a boat. Friday began with a special PPA Daddy morning visit! The Daddy photographed below came in with his daughter that morning and stuck around to read aloud of not one – but TWO – stories to the class! What a great way to start the day – a special PPA Thank You to this Daddy for being such a great guest! By Friday afternoon, the final few letters were added and the “PPA Alphabet” was complete! In order to commemorate the students’ learning and hard work all throughout the 2013-2014 school year, the teachers led a technology presentation on Friday afternoon displaying all of the students’ letters! They had such a fun time identifying which letter was on the screen, especially when the teachers showed the letters out of order! Take a look below to try it for yourselves! We hope that you enjoyed playing along! We also hope that this super craft helps serve as a tool to reinforce all of the fun and learning that took place throughout this AMAZING school year! Well, that is all for “Alphabet Review Week!” As always, thank you for reading and we will see you next week! Have a safe and wonderful holiday weekend! Click here to view all of the “PPA ABC” photographs!